Leisa Dewy founded Don’t Bully to raise awareness about the issue of bullying and to campaign for putting in strategies to prevent bullying. 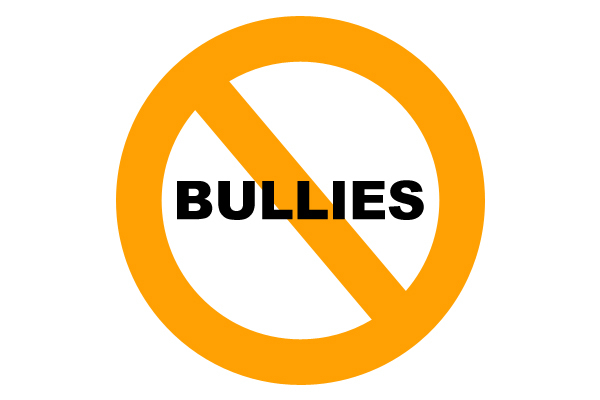 Don’t Bully® is passionate about getting its core message out in to the greater community. We believe that through awareness and education we can and will make a difference. Anti bullying is our passion, not our pastime. Our goal is to educate this generation so future generations learn and know that it is not ok to bully. Don’t Bully is a Registered Not4Profit. HOW DOES DON’T BULLY® MAKES A DIFFERENCE? • By generating awareness, opening discussions, evaluating current mindsets and attitudes towards bullying. Basically anywhere bullying has an impact with our society. And of course our Mascot-“Bob” the Bull can also be there upon request. Visit Don’t Bully for more information. This entry was posted in Award, honoree, Recognition, women and tagged address bullying, after school programs, awareness, cyber bullying, Don't Bully, educational programs, Leisa Dewy, prevention, schools, Today's Honoree, workplaces. Bookmark the permalink.